Memorable, unique, positive, healthy, fun, team-building. These are some of the adjectives that describe a successful corporate function from the company perspective. While rewarding your team for a year of hard work, showing your appreciation for your human capital and providing staff incentives are always going to be worthy endeavours in themselves, the event you plan for an end-of-year function should also aim to promote your organisation’s values. During the silly season, the go-to activity can all too easily be the consumption of alcohol. Drinking is synonymous with celebrating in the minds of many, and while you may like to allow some refreshments to be a part of your plans, any ostensible promotion of binge drinking or drunkenness from your company or your leadership team may lead to negative short- and long-term outcomes. The good news is that there’s no need to compromise. You can provide enjoyable activities, allowing room for your team to relax and bond, while still emphasising the very same conduct you wish to promote in your team throughout the year. Rather than relax the high standards of performance you expect from your staff on a day-to-day basis, you can use this corporate event to build upon them. Our societal love-affair of alcohol isn’t going away anytime soon, and you don’t need to fight it. 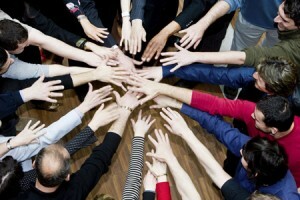 Instead, put the focus on your people, their health, and group camaraderie. Promote what makes your organisation great, encourage responsible behaviours and actions, and show how they fit within your team culture. Laughter Yoga: not only is a laughter workshop guaranteed to bring the house down, it teaches proven and practical stress-management techniques. Adaptable to any size group and venue, this team-building event is upbeat and active while still being suitable for everyone. It emphasises involvement and participation, and the skills learned are applicable to both the workday and everyday. Nutrition Seminar: learn about healthy ingredients, and be inspired to make healthy food choices this silly season. Our nutrition seminars are customised to your requested themes, demographics and objectives, and suitable for any size group. Team Cooking Challenge: who needs catering when you can prepare your own meal? Working in small teams, your staff will learn healthy recipes in a hands-on fashion, and put their kitchen skills to the test. You don’t need a full kitchen to host a team cooking challenge, and we’ll help you make it work. This is most cost-effective for a smaller group. Seated Massage: a tangible and always-popular reward, massage relieves stress and tension instantaneously. By providing the flexibility to accommodate everyone at your office, we can adapt a massage program to suit your needs. Health Expo: that’s right, HSG can provide a complete solution for your corporate function or event. By picking-and-mixing from our huge range of wellbeing-themed services, limitless customisation options are available. We can navigate you through the design of your event, and provide wellness workshops, stalls, one-to-one consultations and group activities to target your health objectives in comprehensive fashion. So forget the ordinary party ideas – call us today on 1300 889 073 to get started on a year-end function that works for your organisation even as it boosts your existing social groups.